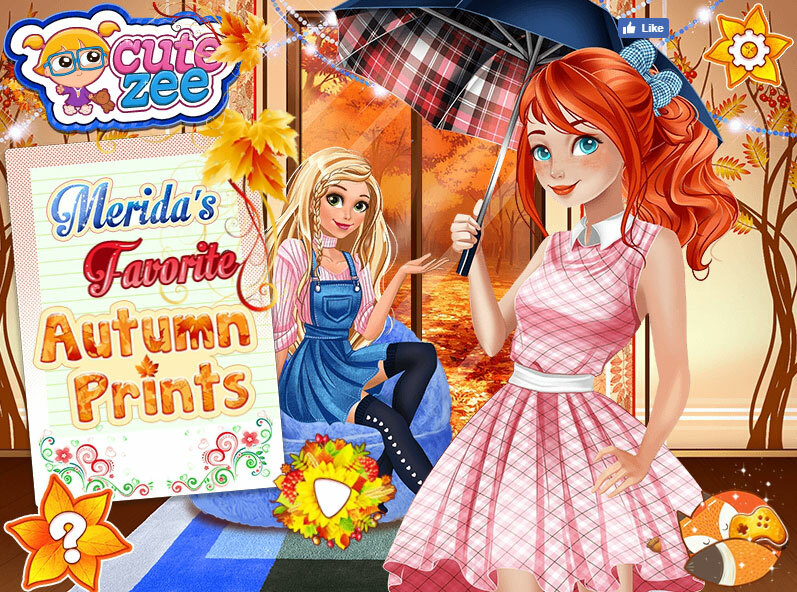 Description: Merida Favorite Autumn Prints! Merida and Rapunzel are very fond of warm money and pleasant weather. But what if it's autumn? You can play games or read the news on your favorite site, and Merida decided to update the wardrobe. It is a pity that Rapunzel is not very happy about this weather and would like to have a sunny summer again! I suggest you help Merida and show her friend that in the autumn there is something to rejoice. After all, look how beautiful it is on the street! A very rare sun will be just like a present these days. Use the mouse to pick up a new autumn outfit and beautiful dresses, hairstyles and jackets to create a pleasant mood for the best girlfriends. And you know how much on our site fun dress up games girls? Try these games and you will like it! Played: 15732. Added: 12-10-2017, 01:16. Merida and Rapuncel in cool dress up game.